Information regarding the Kevin Durant and Draymond Green debacle continues to leak out of the organization like a leaky faucet. While the Golden State Warriors are attempting to patch their leaking ship, suspending Green and pretending as if all is well, Draymond has written a short open letter to The Choke. 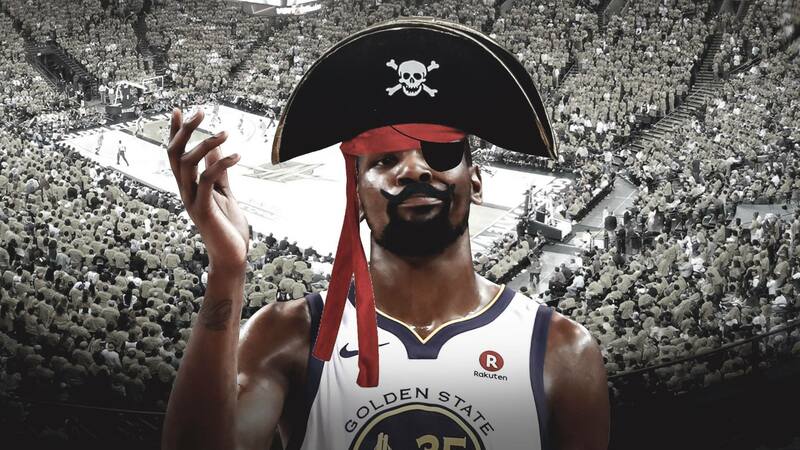 Kevin Durant is a sky pirate. Not like a normal pirate. The one like that Balthier fellow from Final Fantasy XII. He’s around here, pretending to be a somewhat OK guy, but dude is a mercenary. I took a pay cut. Klay is going to take a pay cut. For what? For Balthier Durant to use us for yet another title before he takes huge sums of money to fail elsewhere? Let me tell the nation something, pal. Ain’t no player on the Knicks who will be able to Phoenix Down his sorry rear when down 0-2 to the Sixers. As everyone knows, Balthier is the character from Final Fantasy XII who is way cooler than the actual main character. That being said, Draymond may have accidentally given Kevin Durant a compliment. Furthermore, Balthier’s past and true intentions are not what they seem — which, yeah, that’s Durant.